With the addition of this document to their website, the people at Google appear to be trying to frighten people away from search engine optimization altogether. Although they say that “Many SEOs provide useful services for website owners”, they finish the sentence by describing the range of what those useful services are:- “from writing copy to giving advice on site architecture and helping to find relevant directories to which a site can be submitted”. They say that an SEO’s useful services include:- writing copy, giving advice on site architecture and helping to find relevant directories…. These can be part of search engine optimization, of course, but they are not what is widely understood by the term search engine optimization; i.e. optimizing pages to rank highly. Even writing copy doesn’t suggest anything to do with seo copywriting, and giving advice on site architecture is to do with website design and not search engine optimization, although an SEO can advise on it with respect to crawling. It is quite clear what sort of things Google considers to be SEO, and it isn’t anything to do with optimizing or, if it is, it’s only on the fringe of optimizing. The document goes on to say, “there are a few unethical SEOs who have given the industry a black eye through their overly aggressive marketing efforts and their attempts to unfairly manipulate search engine results”. The implication is that search engine optimizers who go further than the sort of things that Google mentions, and actually optimize pages to improve rankings (manipulate search results), are unethical. Google clearly views any sort of optimizing to improve rankings as unethical. Later in the document, Google lists a number ‘credentials’ that reputable search engine optimizers should have. In Google’s view, a search engine optimization company should employ a reasonable number of staff (individual SEOs are not reputable), they should offer “a full and unconditional money-back guarantee”, they should report “every spam abuse that it finds to Google”, and more, and they warn people against those who don’t measure up. But there isn’t a search engine optimizer in the world, individual or company, who doesn’t fall foul of Google’s ‘credentials’. There are people who can write copy (not seo copy), advise on site structure and even find directories to submit to, but they aren’t search engine optimizers and, in terms of rankings, they are of limited value. The purpose of search engine optimization is to improve a website’s rankings. Google see that as manipulating the search results, and they don’t approve. The impression given by their document is that they are trying hard to scare website owners into not employing search engine optimization services to improve their website’s rankings. That, in my opinion, is unethical. Suppose there are 1000 hotels in New York, each of which has a website. When somebody types “New York hotels” into a search engine, all 1000 websites are equally relevant to the search. Because of the way that Google and other engines have been designed, they normally display the results 10 at a time. But which of the 1000 hotel sites will be displayed in the first 10, which of them will be displayed in the second 10……and which will be placed right at the bottom of the pile? It is well-known that searchers don’t look very far down the results, so the sites that are nearer the top will take all the business, and those that are further down will get none. But which sites will be at the top? Google uses its algorithms to determine the order of the results. It is patently obvious that all 1000 equally relevant websites will not be displayed on the first results page (the top 10). It is also obvious that equally relevant sites cannot be displayed where they belong. Some necessarily become more equal than others. So what if the owner of one of the websites decides to try and push his site to the top? Is that wrong? Of course not. The site is just as relevant as the top ones; it’s just that Google cannot satisfy all the relevant sites. This is where ethical search engine optimization come in. Search engine optimization optimizes a website’s pages, so that they will be ranked higher in the search results for the most relevant search terms, according to what the website has to offer. Search engines may well display relevant results at the top, but they can’t display all the relevant results at the top. Search engine optimization allows the pages of relevant websites to be displayed at or near the top of relevant search results. And that’s all it does. So what are search engines like Google so afraid of? SEOs have exactly the same aim as the engines – relevant search results. The difference is that search engines don’t care about individual websites, whereas search engine optimizers and website owners do. That’s the only difference. Engines don’t care if a particular website is in the top 10; SEOs care very much that a particular website is in the top 10. But they can’t get an off-topic site there because the search engine algorithms see to that. And that’s an important point – search engine optimization can only get pages to the top of relevant results. The search engines’ own algorithms keep off-topic pages out. Search engines want relevant sites at the top. As a search engine optimizer, I want relevant sites at the top, and I want one of them to be my site. Search engines can’t place all the relevant sites at the top, and they aren’t going to do my site any individual favors, so I give them a hand and adjust things so that my relevant pages are at the top of the relevant results. That’s all that ethical search engine optimizers do. They are not against the engines, and they don’t try to achieve what the engines themselves don’t want (irrelevant results). They merely strive to adjust the results by placing a different, but equally relevant site at the top. And there’s nothing unethical about that. In this thread at the WebMasterWorld forum, a Google employee known as GoogleGuy chose to answer a number of questions that had been posted in the forum. He was the one who chose which questions to answer, so I think his response to the questions in msg #12 is very revealing. 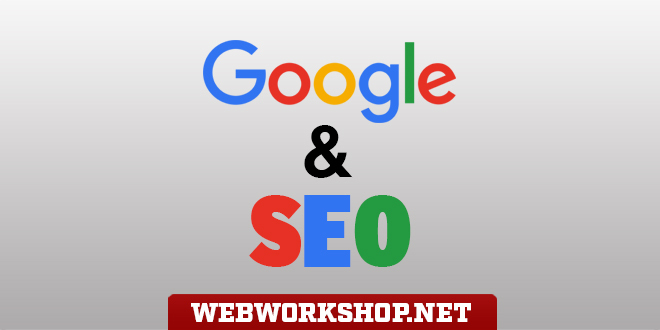 Q: Does Google like honest SEO’s or would you prefer there not be any? Q: What do you think about SEO? Do you think there will be a room for SEO in future WWW world? A: I think that there will always be a need for consultants that help site owners make their site more useful for surfers and search engines. That might include advice on site architecture, explaining what sort of pages would be crawlable by search engines, or giving help on the copy on a site. Lately, I also see more SEOs broadening their offerings by managing PPC for clients as well. I reprinted the whole of GoogleGuy’s response but, although the second paragraph is interesting, it’s the first paragraph that is relevant here. He chose to answer questions that were specifically about search engine optimization, but he ignored it almost entirely by equating it to helping website owners with “site architecture”, crawlability and such – only a very small part of the search engine optimization process. Although necessary to a website, the things he mentioned won’t get high rankings and are, therefore, not about search engine optimization or “SEO”. In other words, he made no attempt to answer the questions that were asked. Why? Because Google don’t want anybody trying to move pages up the rankings. If confirmation of that fact were necessary, GoogleGuy’s response to those questions is confirmation enough.